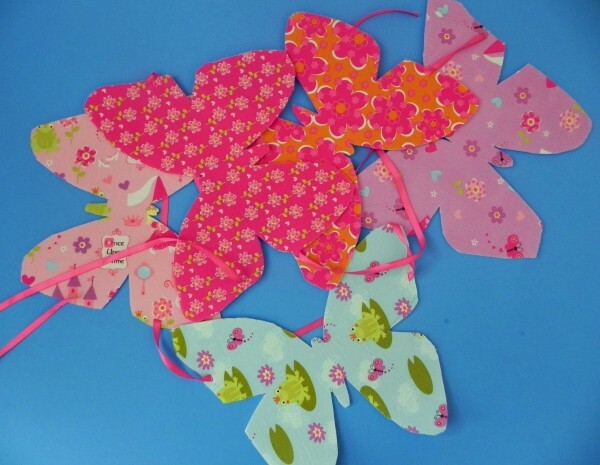 The cutest and brightest Butterfly banner for girls of all ages. Decorate your room with it or use it as party decor. All your friends are going to love it. This banner has 8 in long & 9.5 in wide, single sided 5 flags. Attached to a coordinating length of ribbon that measures approximately 47″ in length. Flags are made with designer Cotton Fabric. and 30″ inch extra ribbon is given. You can adjust the spacing between individual flags as per your needs and it’s so lightweight that you can hang it even with everyday tape! !